Sometimes there is a rare moment in which calm emerges within a storm. That is one way we could describe the economic situation in China right now. On the one hand there is no denying that the country's overall GDP growth, while still very strong relative to almost all other major economies around the globe, is still slowing down at a steady pace. The latest official figures from the National Bureau of Statistics show that the economy grew by about 6.7 percent in the first quarter of 2016 against the same period last year. This signifies the slowest pace of GDP growth the country has experienced in seven years. Analysts are still sticking to the generally accepted line of reasoning that weak external demand, particularly from Europe and North America, and a dramatic reduction of easy money floating around internally over the last couple of years is continuing to provide a drag on the overall economy. Going forward the consensus view in both the financial world and Chinese policy circles is that slower growth is inevitable. Last week the International Monetary Fund stepped up its warning of weakness in the global economy ahead of a gathering this week of the world's top economic policymakers in Washington. The organisation said it anticipates the global economy will expand by 3.2 percent this year, down 0.2 percentage points from its forecast just three months ago. The fund also candidly admitted that even that projection could easily prove too optimistic amid upheaval in emerging markets, slowdown in China and fraying political and economic ties in Europe. "The central scenario ... now looks less likely compared with possible less favourable outcomes," IMF chief economist Maurice Obstfeld said. According to the IMF, China's economy will grow slightly faster than previously anticipated this year, up to 6.5 percent from 6.3 percent. Obstfeld said that reflects the IMF's confidence that new stimulus efforts will help the nation reach its targets for growth. But he cautioned that longer-term forecasts are dimmer, as China continues to load up on debt and provide support to declining industries. "We worry about the quality of growth more than the quantity of growth," he said. 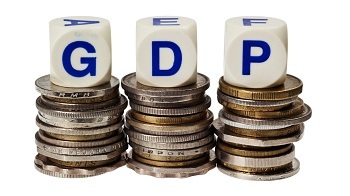 Although it may sound like gloomy news, if one compares the recent data to the double digit GDP growth of years gone by, the 6.7 percent figure actually came as somewhat of a relief for some people. As one unnamed trader pointed out in an interview with The Telegraph newspaper, "the figures for the first quarter are not exactly a cause for celebration but at the same time they could have been much worse. 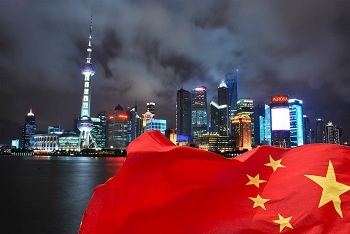 After all, the Chinese government's target range for growth this year is 6.5-7 percent". Moreover, he said that "actually the recent data doesn't look too bad when compared to the 6.8 percent year on year GDP growth we saw at exactly the same time last year". Many are seeing the recent figures as a sign that the Chinese government's strategy to address certain economic imbalances is working. Tony Nash, chief economist at consultancy Complete Intelligence, based in Singapore, said the NPC had "conveyed a sense of real progress that Chinese leadership understood much of the problems and was working toward necessary state sector reforms". Mr Nash said analysts "see a more stable environment starting in the middle of the third quarter as some of the reforms announced at the NPC start to take hold". Craig James, chief economist at Commsec in Sydney, Australia said there was "a collective sigh of relieve, not just here in Australia but around the world. All the results are above market expectations; it shows the rebalancing of the economy is proceeding to plan. "If anything, the figures are surprisingly high, so one wonders about the sustainability of the growth rate for future months. Hopefully we'll see other economies around the world focus on lifting their own growth rates," he added. There are certainly pockets of growth at the moment that are providing some hope for China's longer-term economic prospects. Investment in industrial assets and infrastructure registered a surprise jump by 10.7 percent in the three months to March, when compared to the same period last year. Consumers also appear to be spending, with retail sales showing a robust 10.5 percent jump for March. The BBC's Beijing correspondent Stephen McDonell explains that "Asia's economic giant is attempting to make up for a loss in traditional production and exports by shifting to a model much more dominated by services and domestic consumption. It is in the process of sacking millions of workers and looking for somewhere else to place them". What that means of course is that structural reform is going to be the key factor in determining China's future. At the moment it seems like the plan to get consumer spending up is working but going forward a lot of things will depend on how successfully the government can guide the economy towards a more sustainable and balanced model. In this regard the Chinese leadership has admitted that there are challenges ahead. 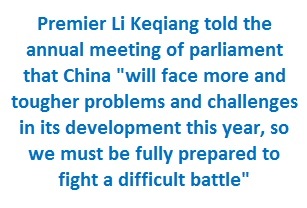 Premier Li Keqiang told the annual meeting of parliament that China "will face more and tougher problems and challenges in its development this year, so we must be fully prepared to fight a difficult battle". Preparing the country for this so called "difficult battle" requires, amongst other things, a few bold policy measures. First of all the government needs to push ahead with its reform agenda which is aimed at bringing about a more balanced economy. Perhaps even more importantly in the long run though both the public and private sector have to undergo some strategic de-leveraging and move away from their reliance on credit that has caused property and stock market bubbles in recent years. In addition to those measures analysts are saying that there needs to be a very well managed reorganisation of certain state-owned assets in which glaring inefficiencies have emerged in recent years, largely due to a change of market conditions. If policymakers get these things right, and the areas in which we are currently seeing some strong growth continues to flourish, then there will be fewer reasons for people to panic about GDP growth figures like they have up to now.